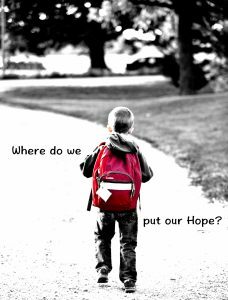 Where do we put our Hope? 0 For the director of music. For Jeduthun. A psalm of David. 2 But when I was silent and still, not even saying anything good, my anguish increased. 4 “Show me, O LORD, my life’s end and the number of my days; let me know how fleeting is my life. 6 Man is a mere phantom as he goes to and fro: He bustles about, but only in vain; he heaps up wealth, not knowing who will get it. 8 Save me from all my transgressions; do not make me the scorn of fools. 9 I was silent; I would not open my mouth, for you are the one who has done this. (Ecclesiastes)12:30 Now all has been heard; here is the conclusion of the matter: Fear God and keep his commandments, for this is the whole of man. 10 Remove your scourge from me; I am overcome by the blow of your hand. 12 “Hear my prayer, O LORD, listen to my cry for help; be not deaf to my weeping. For I dwell with you as an alien, a stranger, as all my fathers were. In our various human relationships, there are many things we do to experience trust, security, and satisfaction, but unless we are deeply rooted in our one-on-one relationship with God, we cannot hope to gain those things in our relationships with others. Let us put our hope in God and build relationships that are rooted in his love. 1. Why was the psalmist silent? 2. Does the Lord strike us with his hand?